Newspaper article and data for Christopher Marmion Macdonell, nephew of Arthur. Lived in Laredo Texas. The explosive growth of the city in 1880 caused the development of two political factions: the Boots, headed by Raymond Martin and C.M. MacDonnell, and the Guaraches, under leadership of Darío González. Both parties competed for control of the city council. Political speeches, parades, the excessive alcohol consumption, and tirotéo of firearms to anvils characterized the campaigns at that time. The 6 of April of 1886, the election was gained by the candidates of the Boots that made a parade for the fictitious burial of the Guaraches to the day siguients. The parade was developed in a battle that possibly left thirty dead ones. The election of 1888 helped to file differences, and members of the two factions were united later under the Independent Club in years. In 1888 when he died he was considered one of the wealthiest men in Laredo. His probate record indicated his worth at over $440,000.00. He funeral was held at San Augustin Cathedral with burial in Calvary Catholic Cemetery in Laredo. He has quite a large marker on his grave site. 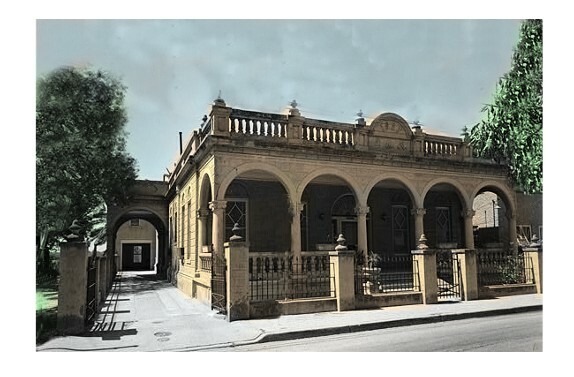 Shortly after his death his brother and sister, Allan and Mary Macdonell who were living in Newry Ireland at the time of his death,came to Laredo to manage his assets and remained in Laredo the rest of their lives. There is a school and a street named after him in Laredo. BOTAS AND GUARACHES. In 1884 two political factions in Laredo and Webb counties designated themselves as Botas and Guaraches. The Botas ("Boots"), led by Raymond Martin,and CM Macdonell powerful political patrons and one of the wealthiest men on the border, and incumbent county judge, José María Rodríguez,qv were essentially the "wealthy" class, although they drew much support from the less fortunate. The reform club, which adopted the slogan Guaraches ("Sandals") to symbolize the lower class, included Santos Benavides,qv who had previously served as county judge and as a colonel in the Confederate Army. The Guaraches, with the small but vocal contingent of Republicans in Laredo, turned the general election of 1884 into a referendum on the dominance of city and county governments by Martin-controlled Bota politicians. Most of the attention that year centered around the race for county judge between Rodríguez and Juan V. Benavides, the son of Santos Benavides. The constant flow of alcohol before the election, a cherished custom on the border, led to several violent confrontations. Tension was heightened by James Sanders Penn,qv owner and editor of the Laredo Times, whose editorials strongly criticized the Botas. The election saw the usual accusations of illegal voting, including paying Mexican aliens to vote. In a record vote Rodríguez was reelected as county judge, and the Botas took four of five county precincts. By 1886, with the usual meetings, parades, accusations, and alcohol, quick tempers and itchy trigger fingers were added to an already tense political scene. But except for the usual complaints of unqualified voters and arrests for drunkenness, the city election on April 6, 1886, was peaceful. Although the vote was close, the Botas won. In their celebration the following day, they paraded the streets of Laredo promising to bury a Guarache in effigy. When the Guaraches attacked the Bota parade, one of the biggest gun battles in the history of the American West developed. As many as 250 men were involved in the fighting at one time or another. It took two companies of the Sixteenth United States Infantry and one company of the Eighth Cavalry to restore peace. Although the official number of dead in what was called the Laredo Election Riot was placed at sixteen, unofficial reports placed the number as high as thirty, with as many as forty-five wounded. Although the bitter rivalry between the two parties continued, the Botas and Guaraches joined forces against the Texas Prohibition party in 1887. 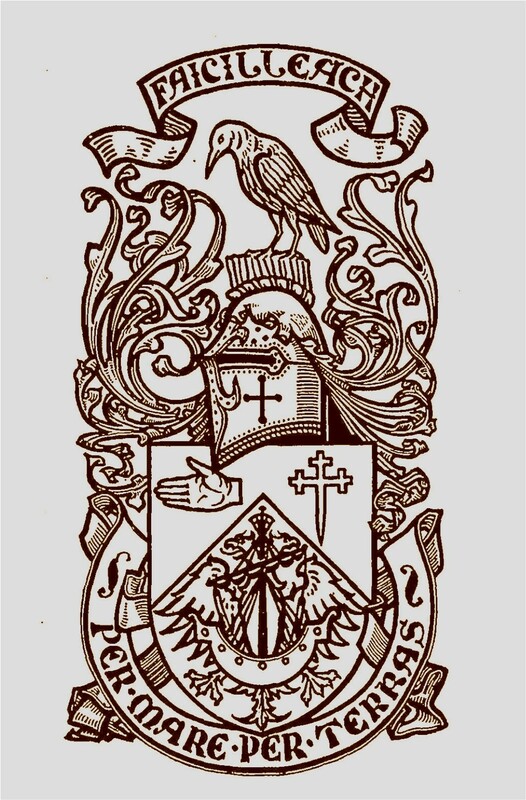 In 1888 a few leaders from the two parties joined to form the Laredo Immigration and Improvement Society. After the Guaraches elected their first mayor, Andrew H. Thaison,qv in 1895, factions from both the Botas and Guaraches came together to form the Independent Club.qv The Independent party or "Partido Viejo" as it came to be called on the border, dominated Laredo and Webb County politics under the patrón system until 1978. In the last decade of the nineteenth century, political factions in Duval and La Salle counties were also known from time to time as either Botas or Guaraches. BIBLIOGRAPHY: C. L. Sonnichsen, Ten Texas Feuds (Albuquerque: University of New Mexico Press, 1957; rpt. 1971). Jerry Don Thompson, Laredo: A Pictorial History (Norfolk: Donning, 1986). Seb S. Wilcox, "The Laredo City Election and Riot of April, 1886, " Southwestern Historical Quarterly 45 (July 1941). Christopher Marmion McDonnell, C M as he went by, arrived in the United States on June 30, 1847 aboard the ship Durham at the Port of New York. His place of origin was listed as Great Britain. He was 21 years old when he came here. He came to Texas and enlisted in the Texas Rangers in Corpus Christi, TX on Sept 16, 1852 as a private under G.K. Lewis command of the Texas Mtd. Volunteers according to offical muster rolls.. He was 25 years old at the time. He was discharged on March 13, 1853. It was noted that the place of Birth in the Ranger index usually meant place of enlistment or possibly the place of residence at the time of enlistment. Early Confederate Service Records for C M Macdonell show he enlisted in the 8th Texas Calvary in Houston, Texas on Sept 11, 1861 at the age of 33. He had traveled 250 miles from San Patricio County. He was listed as a Private in Isham G Jones Company, Terrys Regiment Texas Rangers. In the book "Warm Weather and Bad Whiskey" he is mentioned a number of times as being involved in the political struggle for power in Laredo, Texas and Webb County. His obituary below tells a brief history of his life. “On Saturday night, Mr. Macdonell was taken sick with a severe attack of inflammation of the bowels. Sunday morning a physician was called, but for some reason, was unable to come until eleven o’clock. Upon his arrival, he examined the patient carefully and gave little hope for his recovery, although it was thought that he would pass away quickly. About seven o’clock yesterday evening, the spirit of C. M. Macdonell took its flight, and as soon as the news became generally known a feeling of sadness settled over the city. Deceased was born in Kilkeel, County Down, Ireland, in the year 1826, and at the time of his death was sixty-two years of age. He very seldom spoke of himself, and the exact time of his emigration to the United States is not known. His only next relatives are a brother and sister, now residents of Newry, Ireland. The sad news was immediately cabled to them last night. Mr. Macdonell, was a member of Capt. G. K. Lewis Company of Texas Rangers in 1852. He afterwards engaged in business in Corpus Christi, and in San Patricio. During the late Civil War he was a member of the famous regiment, Terry’s Texas Rangers, serving with them all through the struggle. 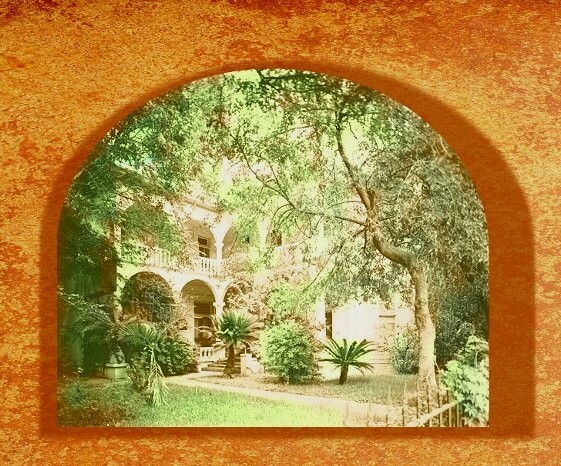 About the year 1865 he came to Laredo and engaged in the mercantile business. 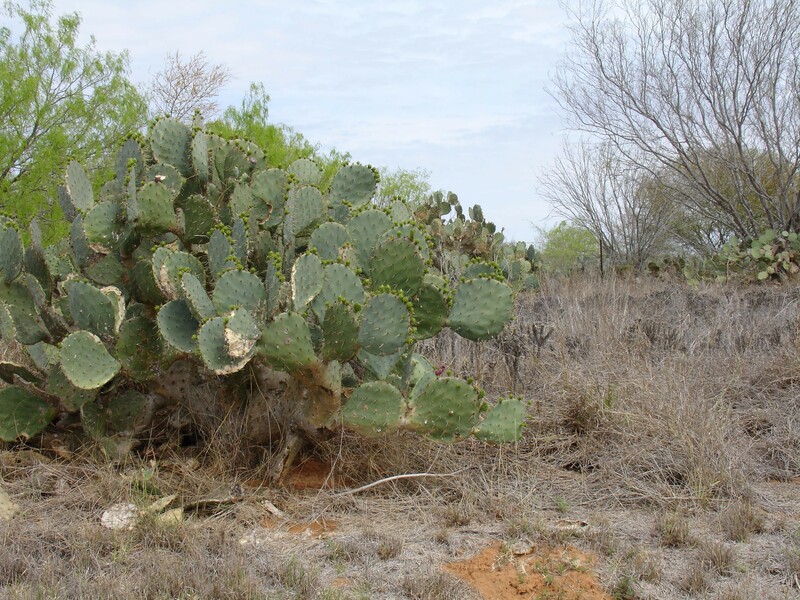 He prospered in business and some ten to twelve years ago became a large ranchman and sheep raiser, at the time of his death being interested in the largest sheep ranch in Texas- the Callahan Ranch in Encinal County. He has been closely identified with Laredo and Webb County interests for years past, and was looked upon as one of the most influential men in Southwest Texas. Although he never became a candidate for any office himself, he always took a prominent part in politics as a democrat and endeavored to support and remain public servant, whose ability, integrity, and loyalty to their party, was unquestioned. In the death of C. M. Macdonell, Laredo loses one of her most solid and honorable citizens; his friends knew a man upon whose word they could always depend. He was a man of few words, but he never was known to fail to keep a promise. He was a follower of the Roman Catholic religion and died in that faith. His deeds of charity were numerous, and many are the poor people in Laredo and vicinity who will mourn his death, in addition to his many personal friends. Fifty years ago Christopher Marmion MacDonell who had come to Laredo before the Civil War, passed away in this city and his body now rests in the Catholic Cemetery here, but before doing so he had bequeathed to the public schools of Laredo two blocks of land--that located at Houston and Davis and the block upon which the Central School is now located. This pioneer with foresight, had realized that some day Laredo schools would need the land for school buildings. Befitting the bequeathing of these two blocks of land to Laredo for building of schools. the board of school trustees of the Laredo Independent School District has paid Christopher Marmion MacDonnell the honor of naming the new $45,000 school now nearing completion the "C. M. MacDonell School," to stand as a perpetual tribute to his memory. Christopher M. MacDonell, after the Civil War, was joined here by his brother, Allen MacDonnell, who died in Laredo in 1910, and his sister, Miss Mary MacDonnell, still a resident of Laredo, makes her home with Mrs. John Convery. While Christopher Marmion MacDonell was alive, it develops, he had made other donations to the public schools of Laredo in various ways, as he was a great believer in education. He was the only pioneer citizen of Laredo of whom the school board has any record of having bequeathed property to the Laredo public schools back in the days of 50 years ago. The new and modern "C. M. MacDonell School" is one of the three new and spacious schools buildings being completed in Laredo and will replace the old frame building now known as the Fourth Ward School. The new school, now being completed by Reiner and Son, contractors of San Antonio, will be ready for occupancy by September 15, 1930, it is announced. Christophers father Alexander Macdonell was born in Ft Agustus Scotland, Stronghold of the Glengary Macdonells. Christopher Marmion Macdonnell along with Charles Callaghan were owners of the Callaghan Ranch, and Santo Tomas Mines, as well as many other intrests. Recently new documents have come to light to give us some glimpse of the life of Allan MacDonnell, brother of C.M. and Mary MacDonnell. Shortly after the death of Allan, in March 18, 1910 in Laredo, Texas word was sent to the Newry newspaper of his passing. From the obits that appeared in these newspapers we have found that Allan was the son of Alex MacDonnell, fish merchant, Canal Quay, Newry – a descendant of the Glengarry family, well known to fame in Scottish history – and Mary, second daughter of James Marmion, of Bell-hill, Kilkeel. She was also Arthur Marmion’s sister. According to the documents he spent thirty years of his early life in Russia, superintending works of importance in that country. He was an associate of Nobels in laboratory work and had several valuable inventions to his credit. By 1871 he was involved in the Newry Steam Aerated Water Company, being one of its directors. In 1877 he introduced new bottling machinery of his own invention. He was one of the original promoters of the Newry Rowing Club in 1873 and of the Newry Literary and Scientific Society- in 1874, before which he delivered a lecture in February, 1875, on “The Chemistry of Water and Carbon.” He was appointed engineer to the Newry Navigation Company in April, 1887, and by him were built the beacon towers resembling the old “Round Tower” at Narrow-water. In August 1880, he was made Justice of the Peace for the County of Down. In August 1888 he sold whatever interests he had in businesses in Newry and immigrated to Laredo, Texas upon hearing of the death of his brother, C.M. He remained in Laredo with his sister Mary until his death. and obtaining many patents, mostly in chemestry. In Russia as well as Ireland. moved to Laredo after brother Christopher's death, they had lived in Russia, and Allan was a very accomplished man in his own right. 1879 he is listed in Newry and the patent was for Machinery for filling & corking bottles. 1906 he is listed in Laredo and the patent was for combined land roller and furrower, opener and marker. concerning the Macdonnells in Laredo. 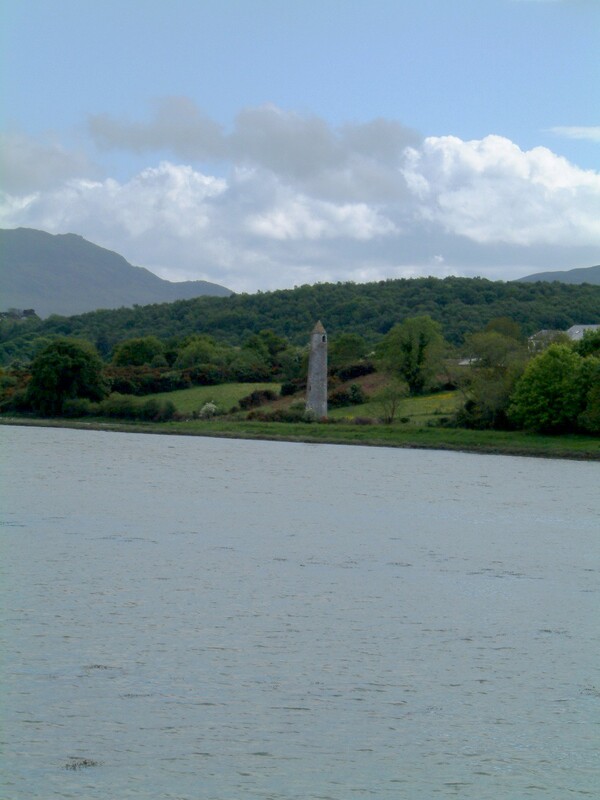 The round tower structure is on the Co. Louth side of Narrow Water - about 150yds down river. It is actually a navigation marker created by AllanMcDonnell (Arthur Marmion's Nephew), as is the smaller one in the water - back of which are the Cooley mountains above Omeath, Carlingford & Greenore. Allan McDonnell was an engineer and chemist and had several patents. He also worked with Alfred Nobel in Russia (of Nobel prize fame) in the development of Dynamite/Nitro. After his brother, Christopher Marmion Macdonnell's death he would immigrate to Laredo Texas. He is buried there.